In a nutshell: I provide solutions that drive customers’ success. I’m an experienced Software Engineer based in Ireland, with 20 years’ experience in software, database administration and project management. I design simple, lean, highly effective solutions for my customers on a daily basis. As of today, I served over 5000 customers (and counting), who run my software on a daily basis, and who rely on my services to run their businesses. I’m an official collaborator of SkyVerge and Prospress, two of the most important developers of WooCommerce plugins. I also work on customisations for Easy Digital Downloads. I specialise in extending their products by adding multi-currency and multi-account features and integrations with my plugins. I have extensive experience with WordPress and I specialised in the development of WooCommerce plugins. I’m the author of leading WooCommerce solutions for WooCommerce, such as the popular Currency Switcher, Prices by Country and, most recently, the free, premium quality, EU VAT Assistant, which helps handling the new EU VAT regulations that came into effect on the 1st January 2015. My standards are very high, and I always aim for quality results and 100% customer satisfaction. WooCommerce, with specialisation in multi-currency and multi-pricing solutions. WooCommerce plugins (optimisation, customisation of existing plugins and development brand new ones). Advanced plugin customisations. I extended official plugins such as the gateways for Moneris, Beanstream, Braintree, or integrations such as Xero, to make them more flexible. My changes are now part of the official products. 3rd party API integrations, such as Ometria and Xero. Diego did a very good work in this project. Clear communication. He was available all the time. Spent time to make a full specification documentation. Code is very well commented. Fantastic! I defintely recommend once again. Thank you. Not my first time using Diego and won't be my last either. Great work as always and very responsive to unforeseen requirements. Always a pleasure to work with! As usual, Diego is pro and the job is well done! Fantastic work! Well done. Very well commented. Thank you again. Outstanding work from Diego. Always give a clear explanation on the scope of the project and he's very communicative. 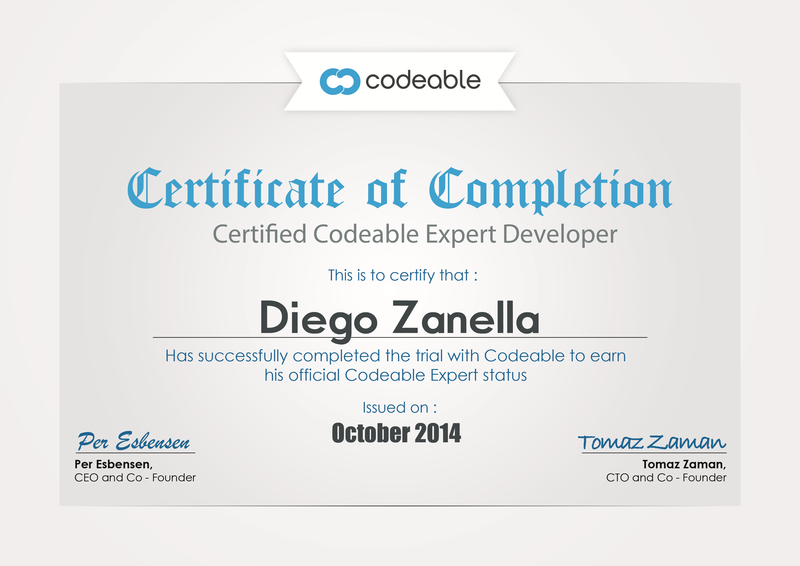 One of the best experts here on Codeable. Fast response. Great communication. Fixed the issue I was having right away! Very quick to finish an urgent project. Very clear in his communication. A thoroughly professional, diligent and talented devleoper. We could not have wished for a better Wordpress partner. I hope to work with Diego again in the future! He explained things very well, and got the task done in a reasonable amount of time without costing an arm and a leg! Diego was very prompt with the issue diagnosis and fix implementation as well he was very professional and quick to respond to my messages. The issue was fixed very quickly. Thank you so much, Diego!